The Dell UltraSharp 24 UltraHD appears more eye-catching, at least on its 183 pixels-per-inch surface. Besides being a more desk-friendly size, the monitor packs a $1,400 sticker price—still steep for a monitor, but far more budget-friendly than its 32-inch counterparts. The IPS display offers 178-degree viewing angles and an adjustable stand, along with 99 percent AdobeRGB and 100 percent sRGB color gamut reproduction augmented by a factory calibration and baked-in fine-tuning tools. 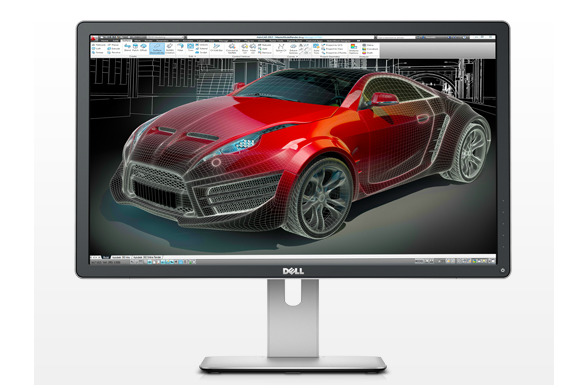 Dell's 4K monitors include plenty o' ports. 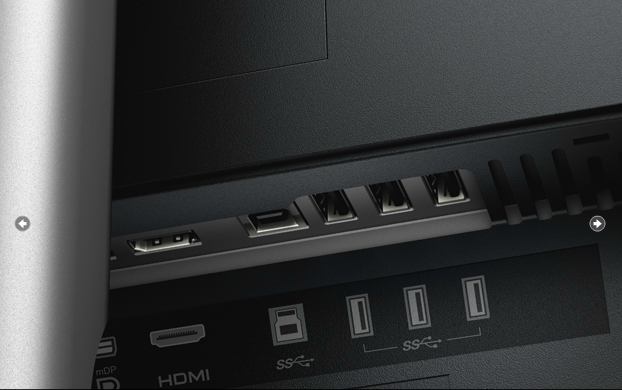 Port-wise, the 24-inch UltraSharp packs HDMI, DisplayPort, mini-DisplayPort, four USB 3.0 ports and a 6-in-1 media card reader. Meanwhile, the monitor's 3-year warranty includes a "Premium Pixel Guarantee"—basically, Dell will swap out the display if even a single one of those millions of pixels acts up.